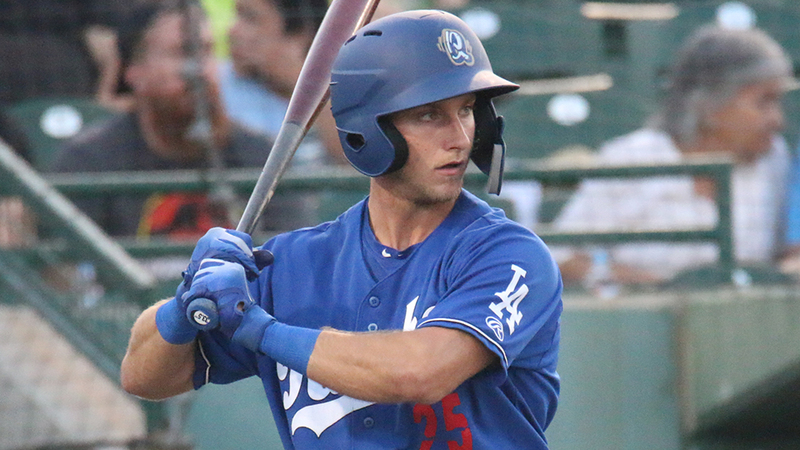 Rylan Bannon might play on the opposite side of the country now, but that didn't stop him from cleaning up the California League's post-season awards. The former Dodgers prospect -- now with Baltimore after being included in the Manny Machado trade in July -- captured the circuit's Most Valuable Player and Rookie of the Year honors for his efforts with Class A Advanced Rancho Cucamonga to lead the end-of-season All-Stars in the eight-team league. Bannon began his 2018 campaign with a power surge, clubbing eight homers and driving in 20 runs during April before hitting .340 in May. The hot start carried him to a .296 average and a league-leading .961 OPS by July 18, the day he was shipped to Baltimore, where he currently plays with Double-A Bowie in the Eastern League. At the time of the trade, the 2017 eighth-round Draft pick led the league in homers (20) and walks (59). He was tied for second in RBIs with 61 and was a two-time Player of the Week on his way to being named a mid-season All-Star. Bannon now checks in as the Orioles' No. 22 prospect. Another pair of former Quakes -- Dustin May and Gavin Lux -- also earned post-season All-Star spots. May, a right-handed pitcher and the Dodgers' fourth-ranked prospect, posted a 7-3 record with a 3.29 ERA. MLB.com's No. 80 overall prospect fanned 94 batters in 98 1/3 innings. Lux, a former first-round Draft pick and Los Angeles' No. 6 prospect, batted .324/.396/.520 with 11 homers and 48 RBIs. Both Lux and May were promoted to Double-A Tulsa as July flipped to August. Rockies No. 3 prospect Colton Welker earned an end-of-season All-Star nod thanks to his .333 average entering Tuesday's play. The Lancaster standout caught fire this month, hitting .488 with a 1.166 OPS during an 11-game stretch. Fellow JetHawk Vince Fernandez, who ranks second in the circuit with 22 homers, was also honored. Pitcher of the Year went to Visalia's Emilio Vargas. The D-backs' No. 14 prospect was 8-5 in 19 starts (108 innings) before earning a promotion to Double-A Jackson on Aug. 1. The right-hander's 2.50 ERA and 140 strikeouts still lead the circuit.